Sunday Supplement: Would a European Super League work? 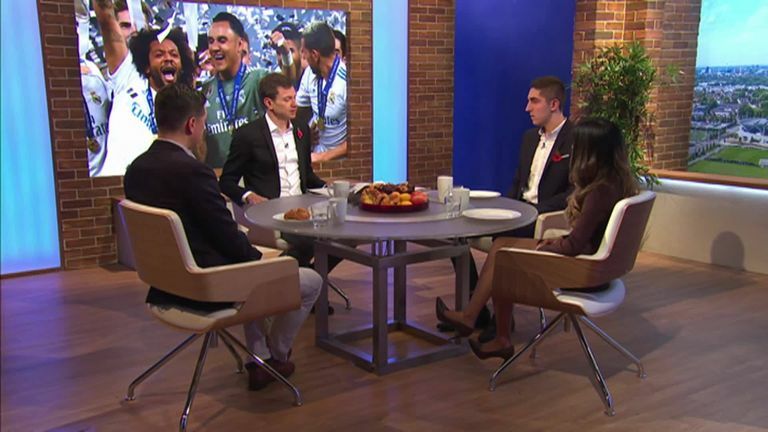 The Sunday Supplement panel discuss how a breakaway European Super League would work and what impact it would have on the domestic leagues across Europe. German news magazine Der Spiegel claimed on Friday that 16 top European clubs are set to sign a document for the establishment of a European Super League in 2021 with Manchester United, Liverpool, Arsenal, Manchester City and Chelsea all mentioned as being involved in the talks. Sources inside Arsenal have since insisted to Sky Sports News they are not part of reported plans for Super League in 2021 and remain committed to the Premier League. 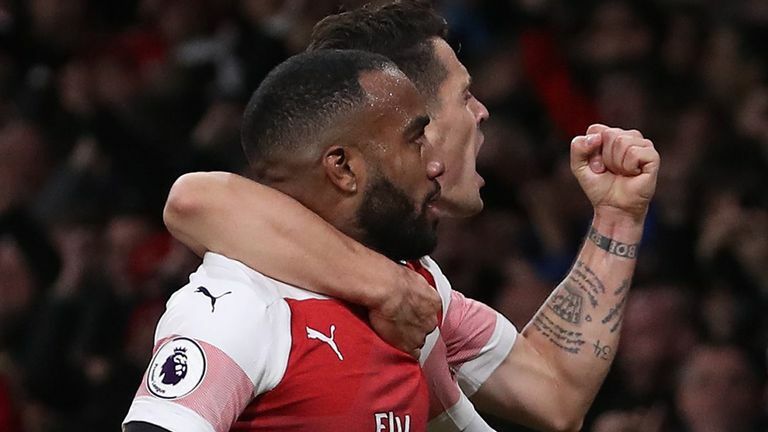 Arsenal are not part of reported plans for a breakaway European Super League in 2021, sources inside the club have told Sky Sports News. Manchester United and Liverpool, meanwhile, are not commenting on their mentioning as another of those English clubs involved in discussions since 2016, while Sky Sports News has also attempted to contact Chelsea. Neil Ashton is with Adam Crafton, Melissa Reddy, and Mike McGrath for a discussion of the latest football news. Melissa Reddy: "I don't think it comes as a shock to anyone that these sorts of conversations have been happening. It's been on the agenda for as long as I can remember, something like 30 years. "For me, it's got nothing to do with innovation or trying to deliver a supreme product or trying to take the game to the next level. It's only about making the rich richer, creating a bigger divide than there already is. I don't think that's good for football at all. "Some of my favourite recent stories have been ones like Bournemouth who were 91st in the football league and look at where they are now with the progression they've made under Eddie Howe. There's Huddersfield and how they've done under David Wagner against all the odds. That is what football is about. "With the super elite we've already got the Champions League and even that, as much as that competition is the benchmark, often you get to a period where you are watching the same games when you get to the knockout stages and you do get a little tired of it. I can't imagine watching those few clubs compete against each other all the time and it having that novel effect that's been advertised. "Arsenal vs Liverpool in the Premier League is different because it's not manufactured, it's historical. Teams in the Premier League play each other and it's not we've concocted this idea that only certain teams are going to be involved. "Anything can happen in the process of Arsenal vs Liverpool in terms of Arsene Wenger leaving and a new manager taking the helm. You are dealing with all those factors and it's natural, it's just what materialises in the league. "The European Super League would be a sort of airbrushed version of football. This is the purest form, this is the best form but that's not right." Adam Crafton: "No because it would be a world without Liverpool vs Everton and Arsenal vs Tottenham. If you take that abroad then you are looking at no Roma vs Lazio and you try telling that to those Roma or Lazio fans. I don't understand how it can work. The problem is that people would watch it and we would cover it." Mike McGrath: "It will do if the offer is there and that's why these people met two years ago. What it shows is this American influence of the American owners in the Premier League. The great product in America is the NFL which has no relegation or promotion. Those two things are the absolute essence of this game we love. That is why there is everything riding on Bournemouth's climb to the top and Huddersfield's success. "There's always something riding on every season. What this will do it will inject all that money you are talking about and it will make people extremely wealthy. People will watch it on TV and they may go it the games or they may not, but it would lose the essence of football. That is why we watch the game and this would be an inferior product for it." McGrath: "I loved watching Bournemouth vs Manchester United. United looked like they could've been in the Championship during the first half an hour they were that bad and then they were incredible in the second-half. 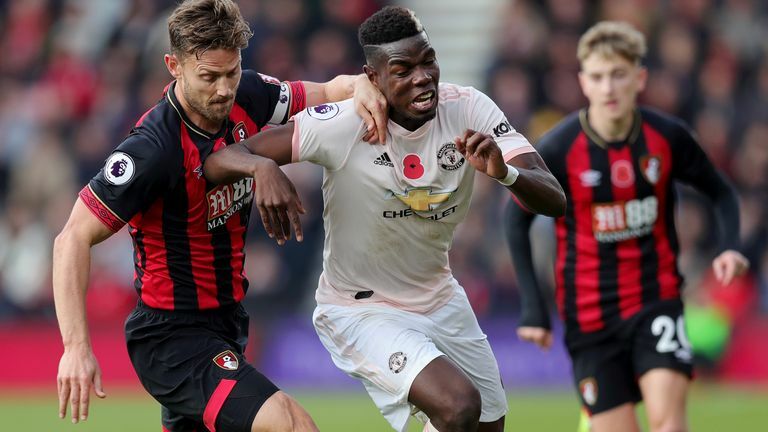 "There is a lot riding on every game for Bournemouth and for Manchester United. There's huge amounts riding on it and to have what effectively would be an exhibition game as part of a league, and that's what I think it would be if there's was no promotion or relegation, it would be awful." Would fans go to watch it? Crafton: "With some exceptions the people making these decisions don't really care. They don't care if you are Manchester United fans from Salford going to the games or whether they can sell out 100,000 over in the United States. As long as they are selling tickets and getting the TV audiences they need they will be content. "What they are clearly missing out on is that part of what attracts those fans from America in the first place is that history, that tapestry that is built up over a long period of time. "I just do not see how anyone who is involved in football, who actually goes to football matches, who speaks to fans, who just has any sense of the history and excitement that surrounds derby matches or even a game like Bournemouth vs Manchester United. It was a brilliant game which just wouldn't be possible anymore." Reddy: "We watched that England friendly against Croatia. How soulless was that game? The players commented about how odd it was not having supporters in the stadium. It's okay for the big clubs because they are followed all around the world. They will sell out but they will not be selling out to the people, that core of loyal supporters that have generationally been passed down, who essentially made them what they are now." "I've got a soft spot for overseas fans of the Premier League. I'm from South Africa and I grew up watching the game over there and it was always a dream to see a Premier League game live. "When the clubs go on these pre-season tours when you live abroad you absolutely lap it up. But if you support Liverpool you buy into the tradition around the club. You don't buy into it because Liverpool are this elite club, they always compete against the very best and that's the only version of them you want to see. That's not football." Could there be any prestige attached to a new competition? Reddy: "If the elite teams are involved obviously there is that feeling that you want to prove yourself against the very best. You want to prove you are the very best but in saying that everything else recedes. "So much of what we enjoy about the game, Manchester United - an absolute powerhouse of the sporting world - can go somewhere like Turf Moor and have a horrendous afternoon. You know that could happen and that is essentially football. You have this chance to be absolutely anything, to beat absolutely anyone if you show your best face." McGrath: "They tried it with the Club World Cup. We all remember Manchester United pulling out the FA Cup to play in it but that's never had the prestige. "There's been talks recently with FIFA about a potential breakaway but if Liverpool win the Champions League I don't think they are looking forward to this exhibition match they'd have in the Club World Cup. It just hasn't taken off and I think it's very difficult to get a new tournament going because by winning the Champions League you still get the big European Cup trophy which is what everybody is fighting for." Do you blame the clubs? Crafton: "I think so because I think this idea of a European Super League is born out of the success of the Premier League. If you look at the German league and the Italian league Bayern Munich and Juventus have dominated their leagues for the last seven or eight years. The Premier League is the great exception. "PSG are now dominating in France and I think it's an initiative for these top clubs that are too good for their own leagues. What I don't understand is why the Premier League clubs, who already have these extraordinary television deals and all this amazing marketing, feel the need to milk it even more? At what point do you say stop? At what point do you accept it for what it is at the moment and accept the amazing product that you have?" Reddy: "It's not about the spirit of competition and that's what the jarring thing is about this. It's not about the great match-ups and the only football you should watch. That's a side product because it's about the commercial deals, the sponsorship we could bring in, the amount of TV money the clubs could make and the merchandise sales you could generate. That's the picture. The picture is not about the core of football, it's this uber manufactured plastic version of the game that I don't want to see."